Properties in the town of Bronkhorstspruit is situated approximately 50 kilometres from Pretoria and it lies on the border between Gauteng and Mpumalanga. The Bronkhorstspruit dam is today a major attraction due to its being one of the most productive bank angling spots in the country. Thick grass on the banks of the dam serves as great cover for bass awaiting their prey, even if they appear a little menacing to would-be anglers. Bronkhorstspruit Nature Reserve is situated on the southern edge of the dam named after the town immediately north east thereof and known for its water birds. 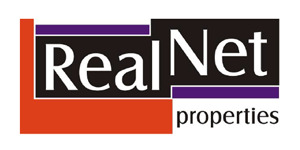 RealNet Kungwini sells / rent properties in Bronkhorstbaai, Bronkhorstspruit, Cullinan, Ekangala, Kungwini Country Estate, Rayton, Zusterstroom.